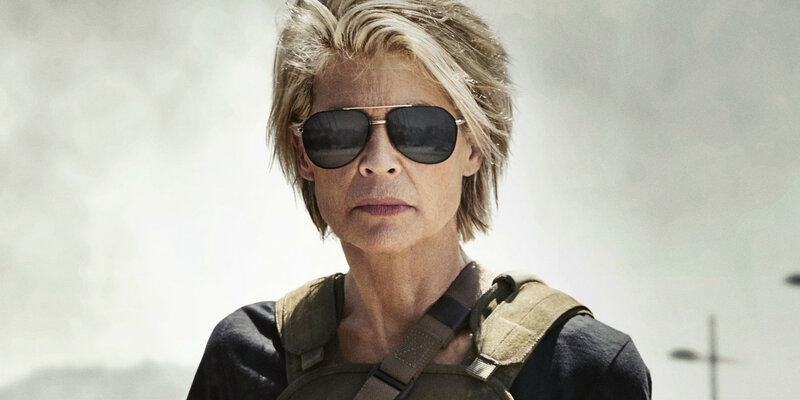 Terminator: Dark Fate's special scene shown at CinemaCon. 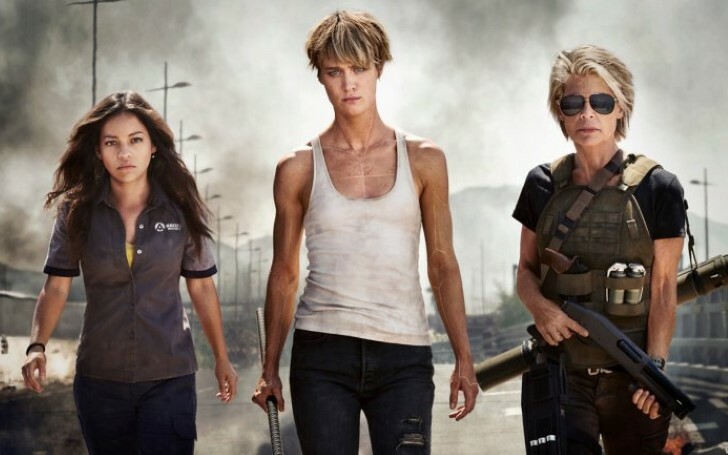 Terminator: Dark Fate CinemaCon footage gave people their first look at the upcoming sequel. Considered as a direct follow-up to James Cameron's Terminator 2: Judgment Day, 1991, the film has gone through some difficult development phase. The three subsequent films that followed T2 all saw diminishing returns, with the last one hitting rock-bottom after 2015's Terminator: Genisys bombed at the box office and failed to revive the legacy that the franchise was much in need of. Once the dust settled on that fiasco, the series rights defaulted back to Cameron, who wrote and directed the first two blockbuster installments. With the franchise’s founder, himself serving as the producer, the wheeling seat for the film was handed to Deadpool's Tim Miller. Ever since the project was announced, fans have been super intrigued to see how it was going to redeem the blunder of its predecessors, though the preview wasn't possible until the trailer release of the film. But, thanks to CinemaCon, some few exclusive attendees have at least got the perception of it. Mackenzie Davis set to portray the lead character in Terminator: Dark Fate. During Paramount's show at the convention, the studio screened the first official footage from the Terminator 6. The clip starts with MacKenzie Davis' character Grace traveling through time and landing in Mexico, where she does some cops related actions. She attacks one of the androids with some form of a rod, throws the second a far distance, and breaks the third one’s neck against a car door. Davis is then shown stealing a car belonging to some random guys after which she storms off the scene. Another sequence featured the introduction of Gabriel Luna's T-1000 while a skeleton T-800 throws a spear at some “not-shown-in-the-frame” target. Grace is defending a young girl and picks up the spear so as to possess a weapon. Linda Hamilton as the titular Sarah Connor then arrives in a car, fires a shotgun through the window and launches a rocket at Terminators. The rest of the video was mostly a compilation of some action beats with the highlights being Arnold Schwarzenegger's famous Terminator launching his own weapon and Sarah quoting the prominent "I'll be back" line. Linda Hamilton set to reprise the role of Sarah Conner. Seeing the social media reactions, the T6 footage went well with the crowd, as many were quick to praise its style and feel. Miller, of course, looks like meeting the expectations of R-rated action sequences he had done in Fox’s Deadpool. The hope with Dark Fate is that it can take the property back to its popularity, and from the sound of things, the team seems to be right on the track, however, it remains to be seen how the full story goes with the audience. Also Read: When Will The Terminator 6 Trailer Drop? Now that the other major studios are profiting so much from a franchise based films, Paramount is also in dire need of its own. The distributors promising series such as rebooted Star Trek and Transformers movies are losing their commercial viability in recent years. And though, the studio may have the ever-reliable Mission: Impossible series to bring in revenue, they still need another tentpole to at least have a chance against the other billion-dollar projects. Given the stake, Dark Fate seems to be serving as a fairly risky proposition, and it has been a long time since the world of “man vs machine” scored a successful film. The bright side though, the pipeline is now driven by Cameron and Miller, the former whose presence alone is enough to boost the film’s potential at the ticket window, while the latter already holds a significant reputation in an action-driven genre. Terminator: Dark Fate is set to release on the 1st of November, 2019.